You get out of work early for once. How good would it be to be able to turn on your central heating before you get home so it's all toasty as you step through the door? Or you left for work in a hurry, and are worried that the hair straighteners are still plugged in. What a relief it would be to turn them off en-route using your mobile phone? It might sound like something from Tomorrow's World, but both prospects are closer than you think. In the next few months British Gas is set to start the first big trial of "smart home" technology, and, if all goes well, it plans to begin installing it commercially in customers' UK homes over the next year. The final price is still to be settled, but the company hopes to bring the package in at under £200. For that, consumers will get the technology they need to create their first "smart home", although they'll need to pay extra for any smartplugs that allow you to turn off appliances remotely. These cost around £25 each. The service is likely to excite gadget fiends and those hoping to reduce their gas and electricity bills. Buyers should easily save the installation cost through lower bills that result in not heating their homes when they are not there. 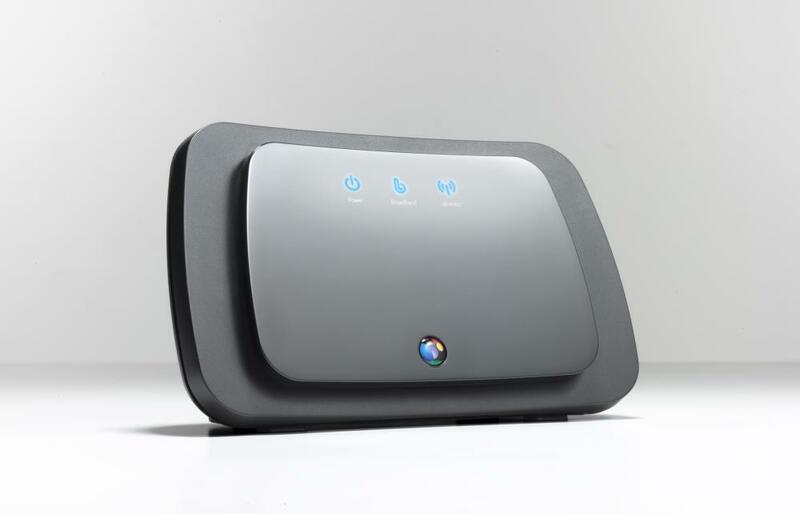 At its heart is a control box that is linked to the home's broadband hub. Users have to upgrade their thermostat to a (supplied) digital model, but apart from that, it should install in almost every broadband-linked home. 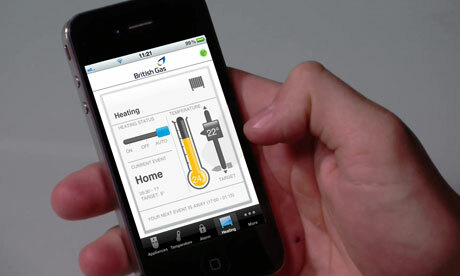 It effectively lets you talk to the central heating system from anywhere in the world. You can also use it to turn on, or off, other key appliances using the smartplugs that send and receive messages wirelessly to the central hub. The technology to make it happen already exists. British Gas has set up the system in a mock home in its laboratory at its Staines headquarters, and a small group of staff are testing it in their homes. This week Guardian Money had a sneak preview of the system that has been developed in conjunction with AlertMe, a company in which British Gas owns a 20% stake. Sitting in our London office we were able to turn the heating and lighting in the Staines "smart home" on and off. The service has a dedicated web page which showed us which appliances had been left on. We were able to see the inside and outside temperatures, turning the heating up and down accordingly – a boon for those who fear their partner overheats the home while they are at work. If you don't have a smart phone, the system can be just as easily controlled with a basic text message sent from a standard mobile or any PC. Paul Grosvenor, British Gas's head of innovation, and one of those who has been using it for the last year, says that he has definitely seen lower gas and electricity bills as a result of the tests: "Consumers are increasingly demanding the ability to do more with the latest technology, and we see 'smart homes' as the future. This technology gives you the ability to conserve energy because you use it more cleverly. You are in control, wherever you are." He says he regularly used it last winter to change his heating settings, even turning on the system while he was away to protect the home from freezing during the really cold spell. He says he also found it a much easier way to set up his boiler timings than the original complicated system. British Gas says the system will eventually have the ability to be customised. With smart key fobs it will be possible to configure it to shut down every appliance linked to a smart plug, plus the heating, when you leave the premises. In the long run, it will also be linked to the home's smart meter, although it will also work with a conventional meter. Along with the other big power companies, British Gas is already in the process of offering smart meters to every customer as they have their old ones replaced. These are read remotely using the mobile phone network, doing away with the need for a call from a meter reader. They will also do away with estimated bills and can be linked to the latest in-home displays, that show householders exactly how much power they are consuming at any one time, both in kilowatt hours and, more crucially, in pounds and pence. Leave too many appliances on, and the smart meter display will show a red warning light – great for those with children who tend to leave everything on. Meanwhile, there is one drawback to the introduction of a remote control heating system – it could promote "couch potato syndrome". Grosvenor is ashamed to admit he has used his mobile to turn up the heating from his sofa, instead of walking over to the thermostat. "If you're lying in bed on a Saturday morning and the heating's gone off, it's very tempting to send a text to turn it on again rather than going down into a cold house," he says.